Dubai: Saudi Arabia’s crown prince sounded the alarm to the international community that if action is not taken soon to rein in Iran’s mischief in the region and world, that war is inevitable. He called on world leaders to help check Iran’s blatant violations by squeezing it economically and politically. “If we don’t succeed in what we are trying to do, we will likely have war with Iran in 10-15 years,” he said in an interview with the Wall Street Journal. 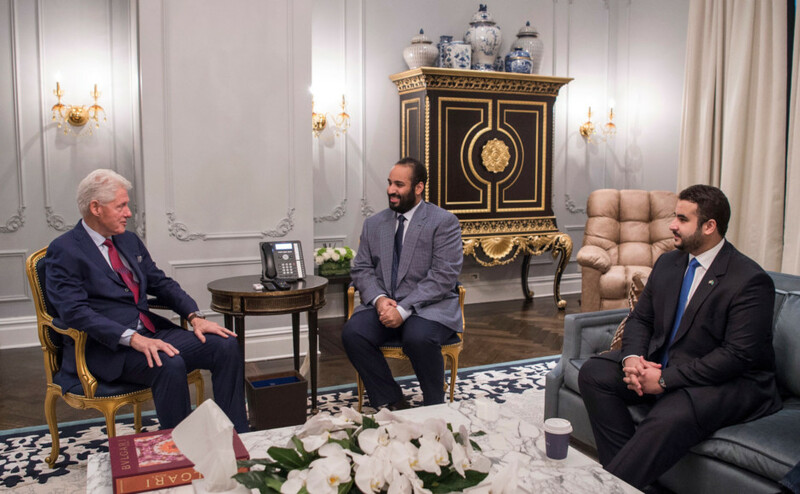 The crown prince is currently on a three-week visit to the US, hoping to ramp up support for Saudi Arabia, both economically and politically. He urged nations to keep up sanctions on Iran. Saudi Arabia has been a fierce critic of the deal the Obama administration and other world powers made in 2015 to lift some crippling economic sanctions on Iran in exchange for limits on its nuclear programme. Under Prince Mohammad, Saudi Arabia has severed diplomatic ties with Iran and pressured countries in the Middle East and Africa to curtail their relationships with Tehran, accusing it of meddling in Arab affairs. Since the nuclear deal was signed by world powers under the leadership of US president Barack Obama, Iran has been relieved of many sanctions and opened up to foreign investment. The economic windfall has boosted Iran’s financial reserves which has allowed it to step up its war efforts in the region. Currently it is supporting Shiite militias in Iraq, Syria, Lebanon and Yemen. Its destablising actions have forced Saudi Arabia into a proxy war with Iran in Yemen, which just entered its third year earlier this week. Al Houthi militants fired seven ballistic missiles into Saudi Arabia this week—which were intercepted—coinciding with the war’s anniversary making a defiant statement that it is not interested in peace or political dialogue to end the war. Saudi Arabia and Iran are supporting opposite sides in the war. Prince Mohammad said failure to intervene in Yemen would have caused a bigger crisis. President Donald Trump, who met Prince Mohammad in Washington last week, has threatened to scrap the nuclear deal and has nominated critics of the pact to top positions recently, including Mike Pompeo as secretary of state and John Bolton as national security adviser. Trump has long stated that the nuclear agreement was “the worst deal ever”. European allies have pushed to preserve the deal but have come under increased pressure to amend some of the clauses in order to streghten it. Prince Mohamamd also accused the Muslim Brotherhood of being “an incubator for terrorists”. Saudi Arabia has taken the Muslim Brotherhood threat seriously. On June 5 of last year it severed relations with Qatar—along with Bahrain, the UAE and Egypt—accusing it of supporting extremism and giving safe haven to terrorists, including many senior members of the Muslm Brotherhood.